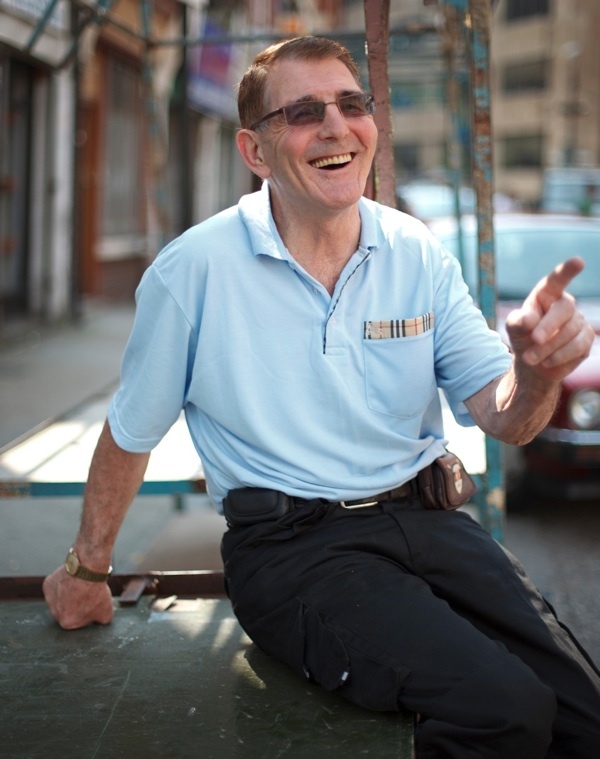 Benny Banks is a redoubtable operator who has worked in Petticoat Lane for over sixty years, putting out the stalls for the traders. 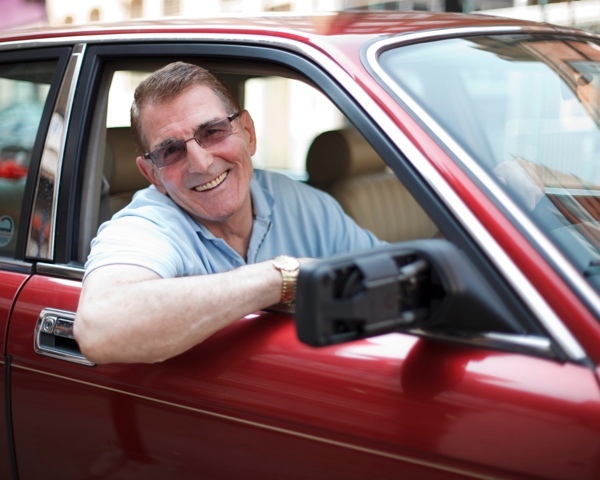 “I’ve lived my life in this market,” he declared to me, leaning upon the bonnet of his red Jaguar in the midst of the lane and displaying his perfect gleaming teeth in a magnificent smile of satisfaction at the narrow territory around Middlesex St that is his beloved manor. “When I was a kid in Wentworth St, we were always out in the streets. Except we had to stay in the yard on Sundays because we couldn’t afford posh clothes and everyone else was in their Sunday best. My mother used to pawn my dad’s suit and get it back by Sunday. Yet we never went hungry, even though there were four of us boys in one room and six girls in the boxroom. The house was spotless, everything stank of carbolic and bleach. We were proud people and I learnt to keep my bits of sticks clean, it’s rubbed off on me. It’s been a hard life but I am a proud man. My mother was a flowerseller and wreathmaker with a licence to sell on Petticoat Lane and on the Cut outside the Old Vic – that’s where I started at threepence a bunch when I was seven or eight. My father was a fruitseller who bought his goods from Covent Garden, Spitalfields and Borough Market. He was a pikey and she was a gipsy. There was ten of us in the family and we all worked for our parents each day from four in the morning until ten o’clock at night. Before they licenced Petticoat Lane, the only way you could get a stall was to get on a pitch and stay there all night. We used to light a fire and sit on the pitch, even in Winter. If anyone tried to push us off, there was a street fight. My father was a streetfighter and he fought Queensberry rules. They fought in Spitalfields. He would set about them and they would leave us alone, so we always had our pitch The lane finished at six and anything we had left we sold door to door, all night, me and my brothers and sisters. People always bought from us because we were so poor and our clothes were in rags. They bought out of pity and they would give us a cup of tea and a piece of cake. I didn’t go to school, and I had to get along as best I could because I had no education and no-one would employ me except as a labourer. I was offered a job in the docks, checking goods off a list, but I can’t read or write. I did odd jobs for the Asians. I built the first restaurant for the Asian community and I started the first minicab company for them – doing airport runs in a van and they put their suitcases in at one pound a head. They still know me as ‘Mr Benny’ among the Asians. My goal was to buy all the barrows in Petticoat Lane. It was like a village, everybody in Petticoat Lane was Jewish and they had them for generations and there’s no way they would sell them. But I got a lucky break when I bought ten barrows in Bakers Yard. All of a sudden, the people in the market, one after another, came to me wanting to sell their barrows but I had nowhere to keep them at first – it was a nightmare. There were only two left I didn’t buy, one was Dave King and the other was Joe Feinstein. 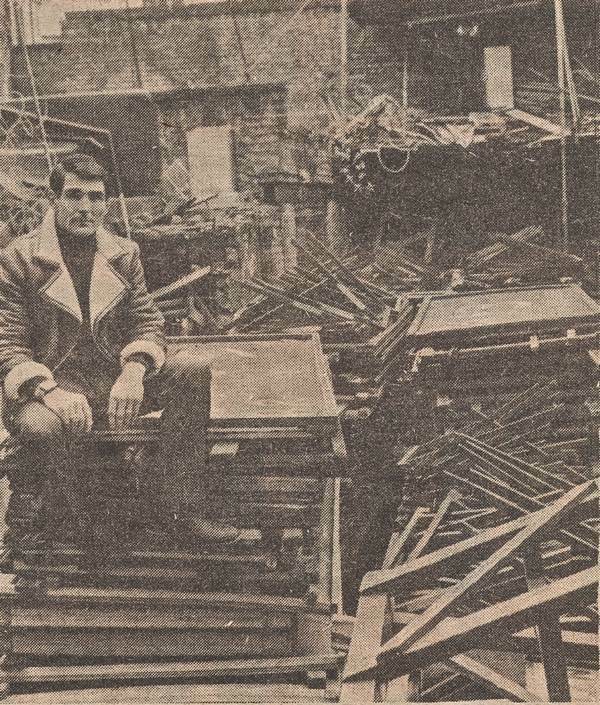 I was always told that one man could not own Petticoat Lane’s nine hundred barrows. It was something that could not be done and they said the logistics were impossible because you have to push them all around and set them out. But I owned the whole of Petticoat Lane by 1979 – my goal was fulfilled. The secret of it was I used to get the down and outs from the hostels to help me set up the stalls at night. As long as the vagrants could lift the stalls, they were employed – because I couldn’t get any straight person to work in the market . They were social misfits. I gave them fifty pence and a bottle of methylated spirits each. They’d go to Spitalfields Market afterwards and sleep among the boxes, and sometimes trucks ran over them or they fell in the fire. And that’s how I used to run the market. Today there are only sixty stalls left out of the nine hundred that once comprised the glorious realm Benny presided over. In his own estimation the lane is “completely gone,” yet it remains endlessly fascinating to him as the arena of conflict and intrigue where he forged his identity through guts and graft. 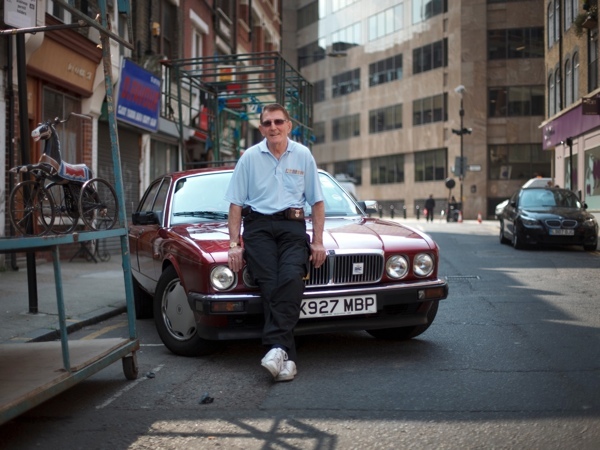 He won his single-minded quest to acquire ownership of his personal universe, Benny Banks will always be the man who bought Petticoat Lane Market. Great biog, really brings out this chap’s personality, so interesting to hear about colourful local characters, you sometimes forget how much rich history these seemingly unmremarkable streets in fact have. Benny banks and Joey banks are both bullies! They got there shed, where they stopped some of there stalls, by bullying the owner by locking him in until he gave in. whether they still use that shed I don’t know. I worked there for years and was threatened on a daily basis. The reason they employed down and puts is because they paid rubbish money. Any good workers were bullied into staying. I was beaten up when I left and I was not the first not the last. They also bought stolen tools and threatened stool holders to keep paying them for the stools. bennys brother is a known gangster, just look it up. They run that market and there workers on total fear. I’m waiting for the day when there business is no more. I won’t give my direct name put of fear, but I have supplied my email and will be happy to tell more of what I know. Please don’t believe the crap Benny banks and family want to portray. one example is I worked for 3 hours on a Sunday morning for five pound. Benny also charged workers, at least 3, to sleep in two sheds he had made, 25 per week I believe. I wonder how he will answer to this? What a load of b*ll*cks! From someone who knew the family very well, the Banks’ were a bad lot! WHAT A LOAD OF RUBBISH,I SHOULD KNOW,I AM THE SON OF ALBERT BANKS.